It’s what you do when something bugs your throat, whether that's dust or postnasal drip. It also helps clear your lungs and windpipe. Many coughs, like those from cold and flu, will go away on their own. If yours comes from a more serious medical condition, you need to treat the cause. Whatever the reason, there are ways to feel better. Drink plenty of fluids -- or use a cool-mist humidifier or vaporizer -- to soothe an irritated throat and loosen mucus. Prop your head up on extra pillows at night and have a little honey before bed. Studies show the sweet stuff can help ease a cough. Don’t give honey to children under 12 months, though. If it's hard to get the mucus out, or if it’s thick, look for medicine that says “expectorant.” That loosens the gunk to help you get rid of it. If you're having post-nasal drip with lots of juicy mucous, you may do better with a medicine that dries you up like Sudafed (pseudoephedrine). If you have cough with fever or shortness of breath call your doctor. Also check with him before you use cough medicine for serious conditions like emphysema, pneumonia, chronic bronchitis, or asthma. And don’t give cough and cold medicine to children under 4. You may get one with a cold or the flu, or if you breathe in something irritating like dust or smoke. Medicine that says "suppressant" helps stop your urge to cough. Plus, it can help you sleep better. 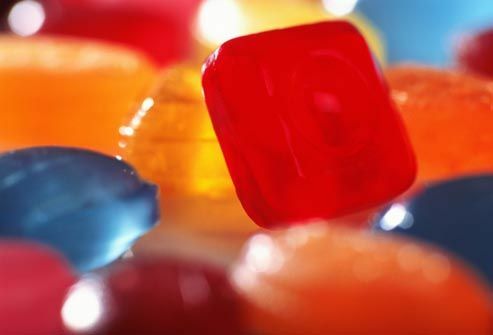 Cough drops -- or even hard candy -- can stop that tickle in the back of your throat. Don’t give the drops to children younger than 4. Never give this type of medicine to children under 4 years old, because it can have serious side effects. Ask your doctor before you give any of these products to children ages 4 to 6. They're safe after age 6. 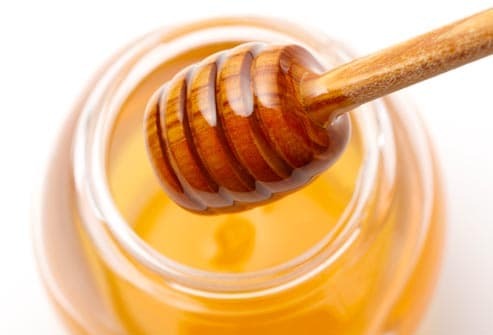 For children 1 and up, try 1/2 to 1 teaspoon of honey to help them suppress their cough. Usually, no. That’s because most coughs are caused by viral infections like colds or the flu, and will get better in a week. Antibiotics only work on infections caused by bacteria. If your cough isn’t better after a week, see your doctor to make sure the cause isn’t a bacterial illness, like a sinus infection or pneumonia. If it is, you may need an antibiotic. 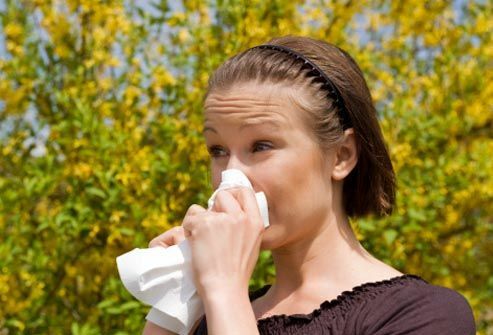 Allergies can make you sneeze, cough, or both. An antihistamine medicine may help. Some newer ones at the drugstore won’t make you sleepy. If you’re also wheezing -- where your breath sounds like whistling -- you may have asthma. Go see your doctor. If you light up, chances are you cough, especially in the morning. But it may be a sign of something more serious. 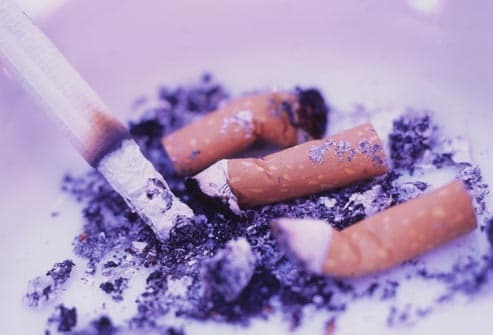 Sometimes smoke irritates your airways and causes inflammation that turns into bronchitis. It can also be a warning sign of cancer. See your doctor if you are coughing up any blood or if a new cough doesn’t go away after 1 month. If yours lasts longer than 8 weeks, a number of things could be to blame. 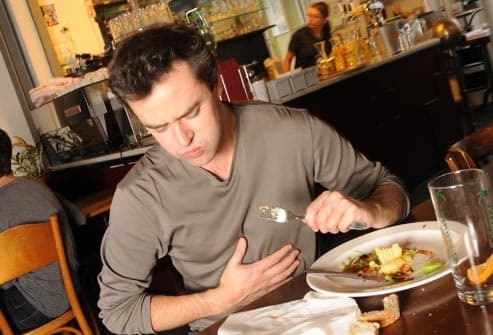 Ongoing coughs can be caused by acid reflux, or gastroesophageal reflux disease -- you may hear your doctor call it GERD. 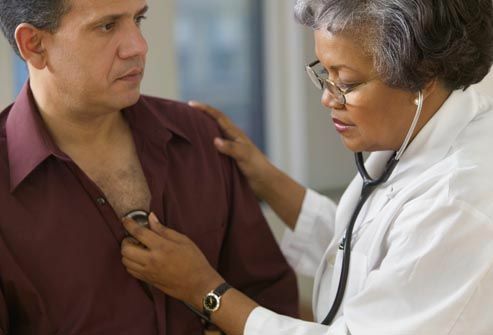 Coughs can be a side effect of ACE inhibitors, a kind of blood pressure medicine. They can be a symptom of whooping cough and even heart failure. You need medical care for all of these conditions. You have a deep cough with lots of mucus. You’re wheezing, short of breath, or have a tight chest. You have a fever that doesn’t go away after 3 days. Your child has the chills or nighttime coughing fits. You’re still coughing after 7 days without getting better. American Academy of Pediatricians: "Withdrawal of Cold Medicines: Addressing Parent Concerns." American College of Chest Physicians: "Information for Patients Complaining of Cough." Asthma and Allergy Foundation of America: "Asthma Overview," "Flu/Cold or Allergies?" 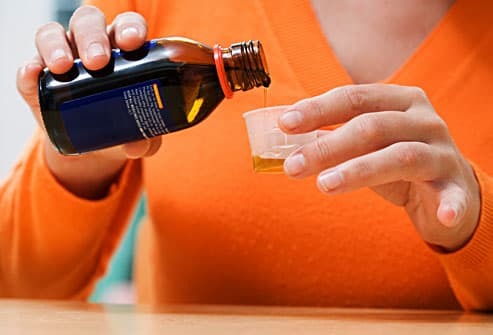 FamilyDoctor.org: "Cough Medicine: Understanding Your OTC Options." Healthychildren.org: "Caring for a Child with a Viral Infection," "Coughs and Colds: Medicines or Home Remedies?" Kaiser Permanente: "Coughs in Adults and Children." KidsHealth: "Infant Botulism," "Fever and Taking Your Child's Temperature." National Heart Lung and Blood Institute: "How Is Cough Treated?" Paul, I. Archives of Pediatric Adolescent Medicine, December 2007. Shadkam, M. The Journal of Alternative and Complementary Medicine, July 2010. University of Iowa Hospitals & Clinics: "Expectorants vs. cough suppressants."